The healthcare industry’s emphasis is shifting from merely reacting to disease to preventing disease and promoting wellness. Addressing one of the more hopeful Big Data undertakings, The Digital Patient: Advancing Healthcare, Research, and Education presents a timely resource on the construction and deployment of the Digital Patient and its effects on healthcare, research, and education. The Digital Patient will not be constructed based solely on new information from all the “omics” fields; it also includes systems analysis, Big Data, and the various efforts to model the human physiome and represent it virtually. The Digital Patient will be realized through the purposeful collaboration of patients as well as scientific, clinical, and policy researchers. 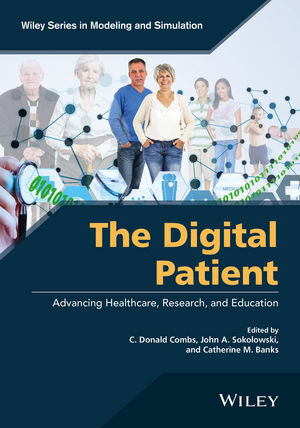 The Digital Patient: Advancing Healthcare, Research, and Education is a useful reference for simulation professionals such as clinicians, medical directors, managers, simulation technologists, faculty members, and educators involved in research and development in the life sciences, physical sciences, and engineering. The book is also an ideal supplement for graduate-level courses related to human modeling, simulation, and visualization. C. Donald Combs, PhD, is Vice President and Dean of the School of Health Professions at Eastern Virginia Medical School and is also a senior faculty member in the Department of Modeling, Simulation, and Visualization Engineering at Old Dominion University. John A. Sokolowski, PhD, is Associate Professor and Executive Director of the Virginia Modeling, Analysis, and Simulation Center at Old Dominion University. Catherine M. Banks, PhD, is Research Associate Professor at the Virginia Modeling, Analysis, and Simulation Center at Old Dominion University.